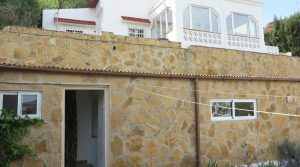 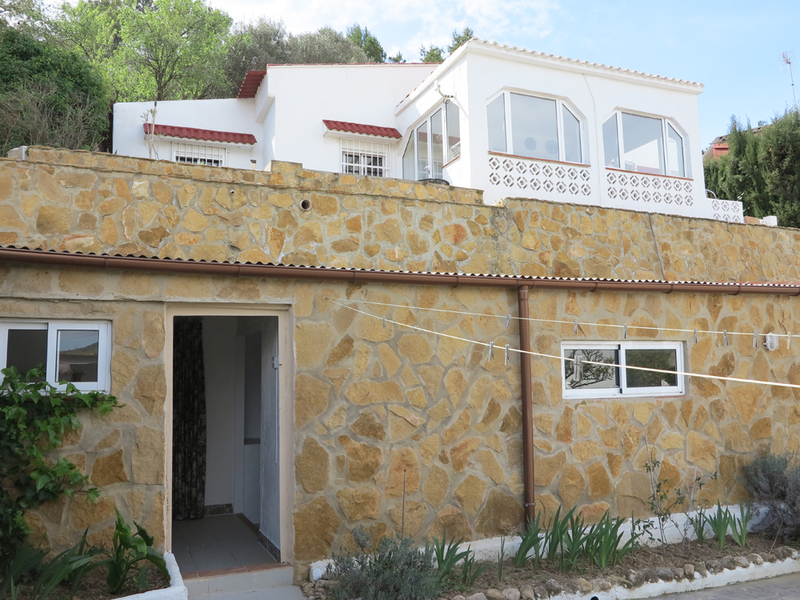 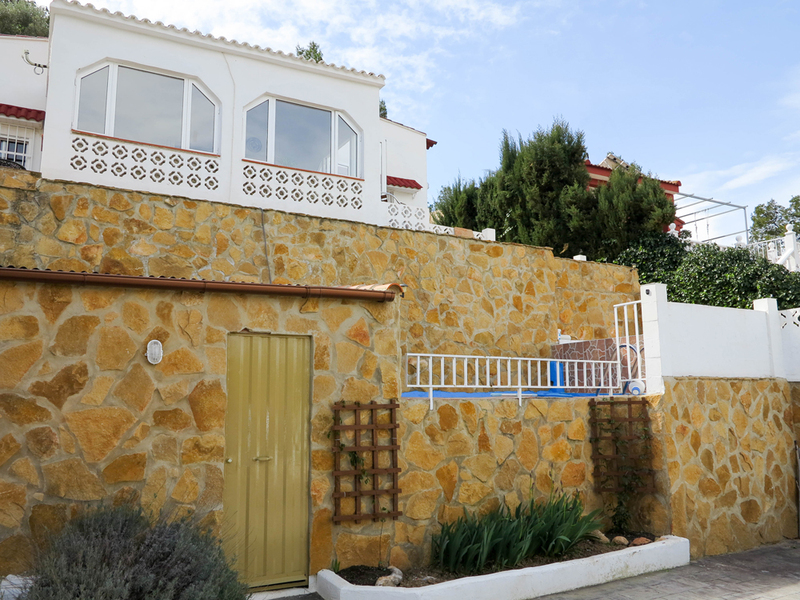 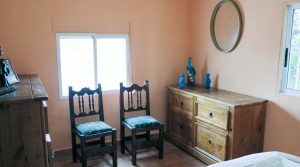 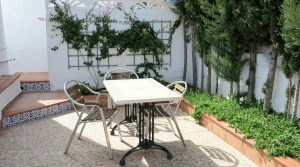 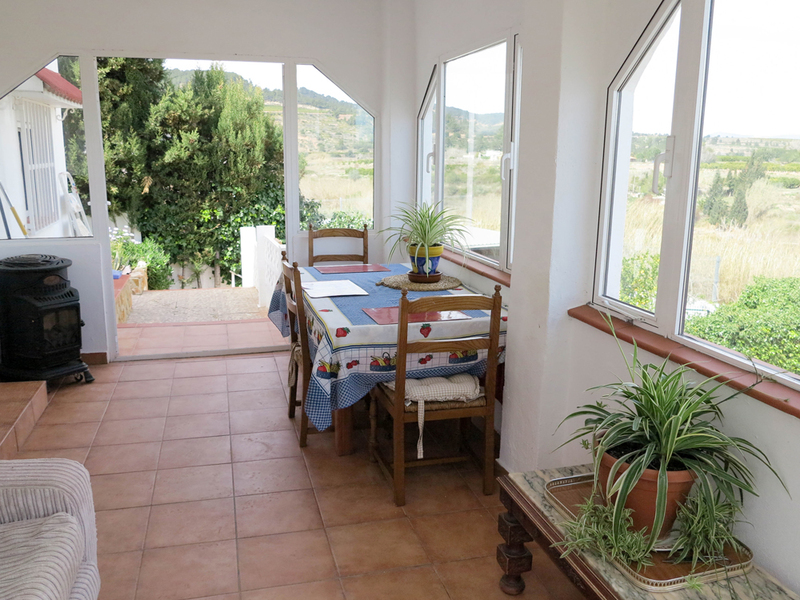 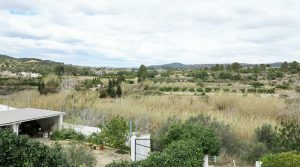 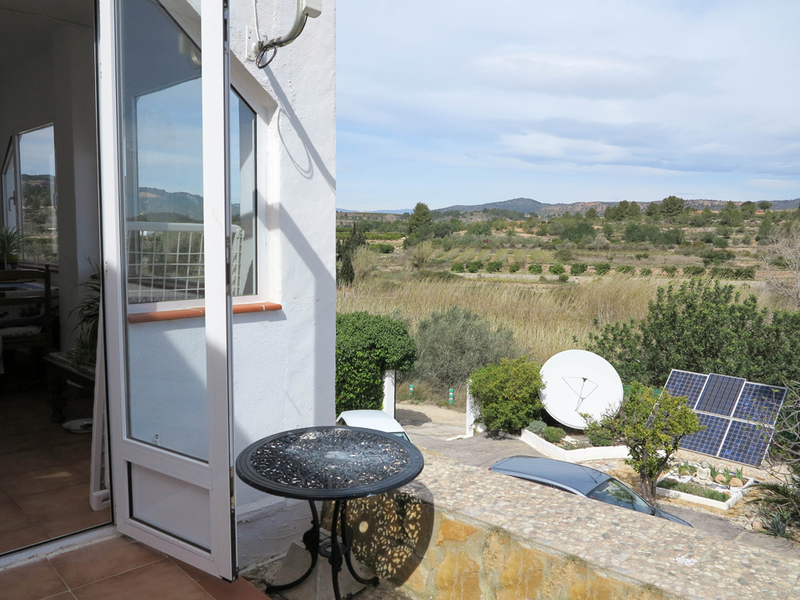 Located a short distance outside the town centre of Montroy and close to the river, one of our charming houses for sale Valencia with amazing views. 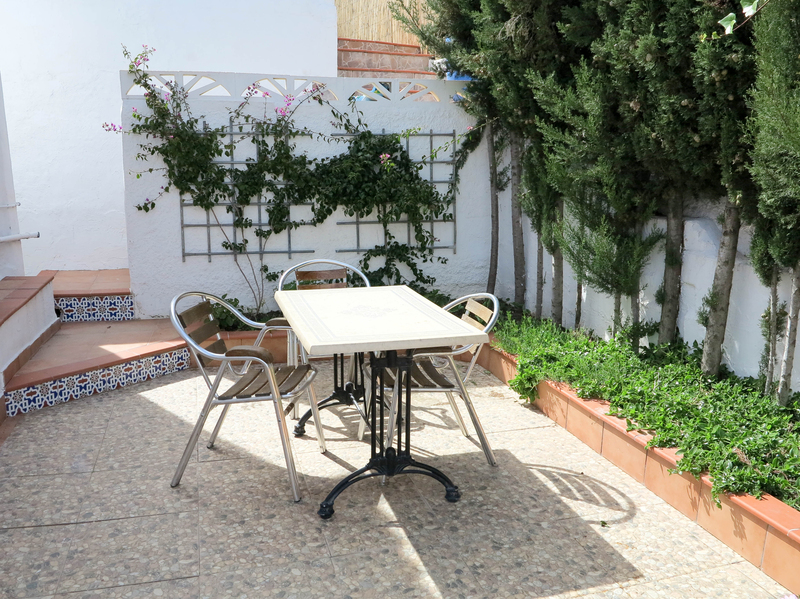 This property is on a terraced fully fenced plot, giving it wonderful viewpoints from each level. 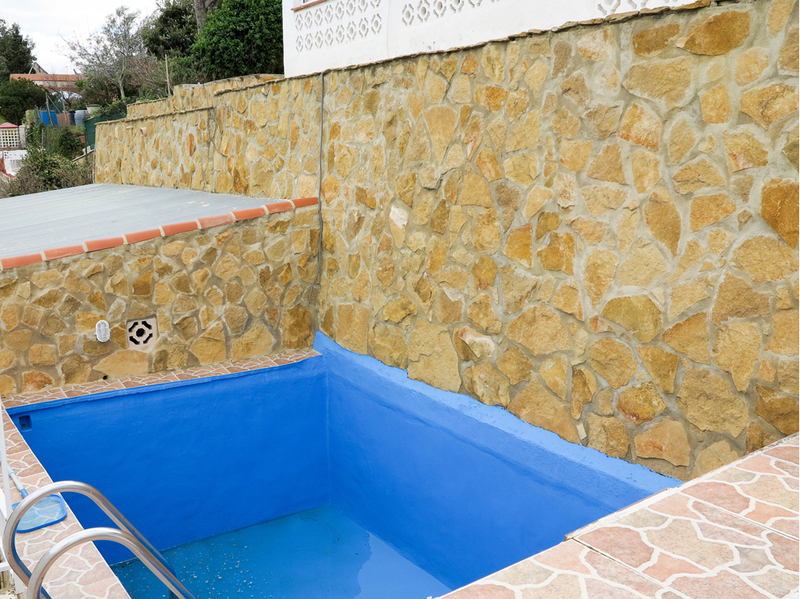 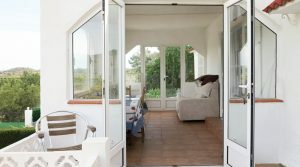 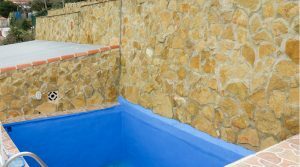 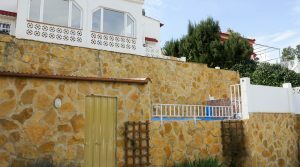 The main villa is on the first-floor level, you go upstairs that runs past the 5m x 3m swimming pool to arrive at a terrace area where the barbecue is located. 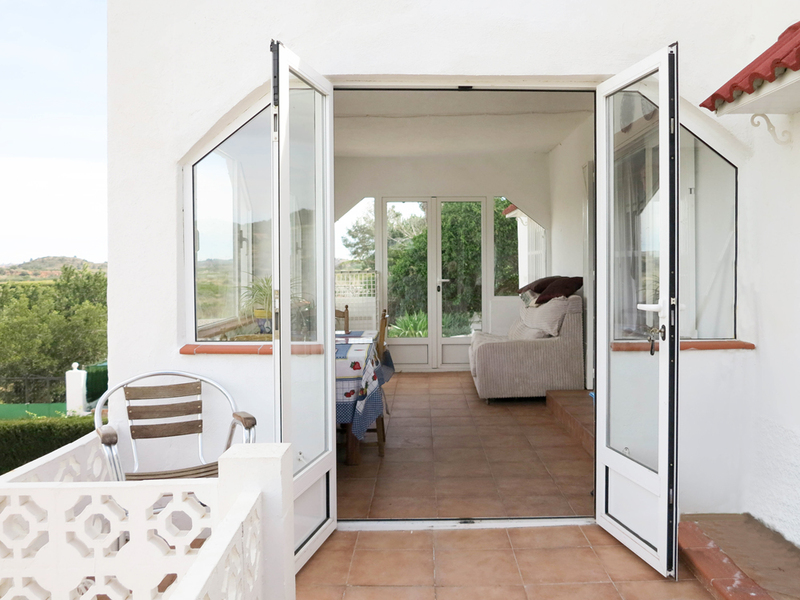 You have are welcomed by a lovely glazed-in front terrace and entrance door. 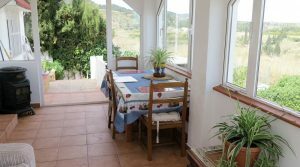 This fully glazed-in terrace is a great place for dining with a view, and beautiful for watching the sunset over the mountains in the distance. 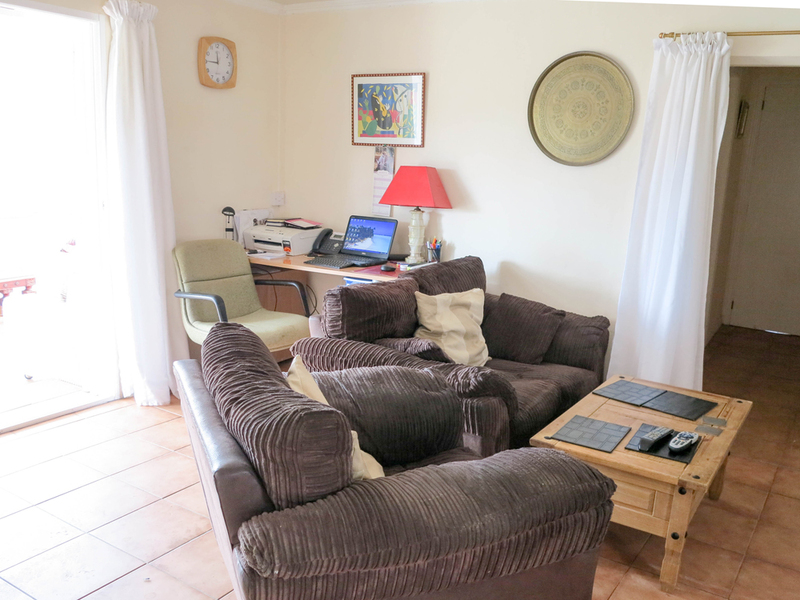 From this dining space, you flow through to the lounge, which has a study area situated in the corner. 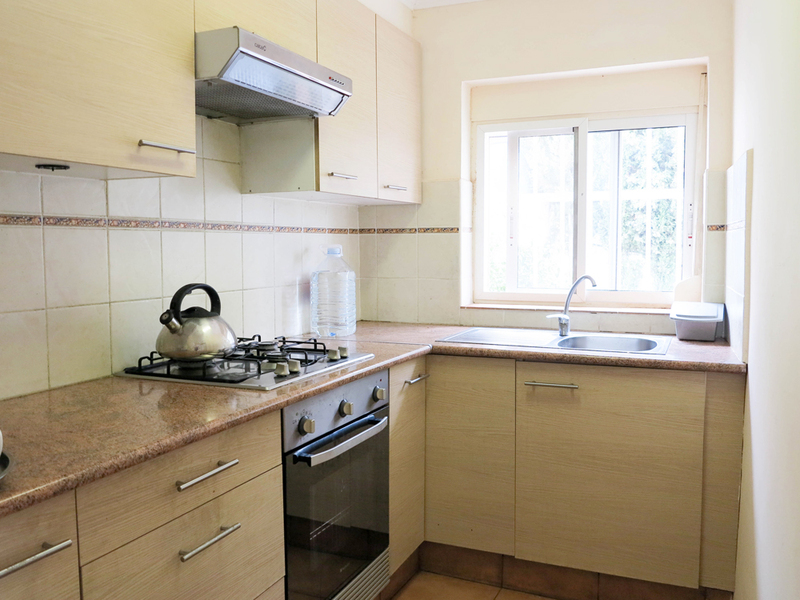 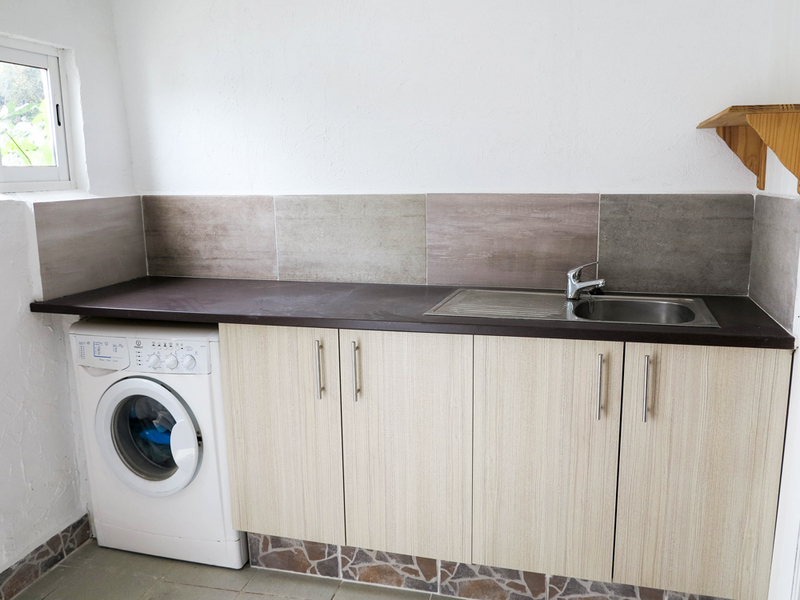 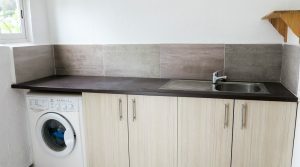 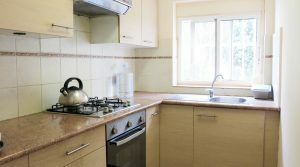 There is a galley style fully fitted kitchen complete with a gas hob, oven, extractor and a large fridge freezer. 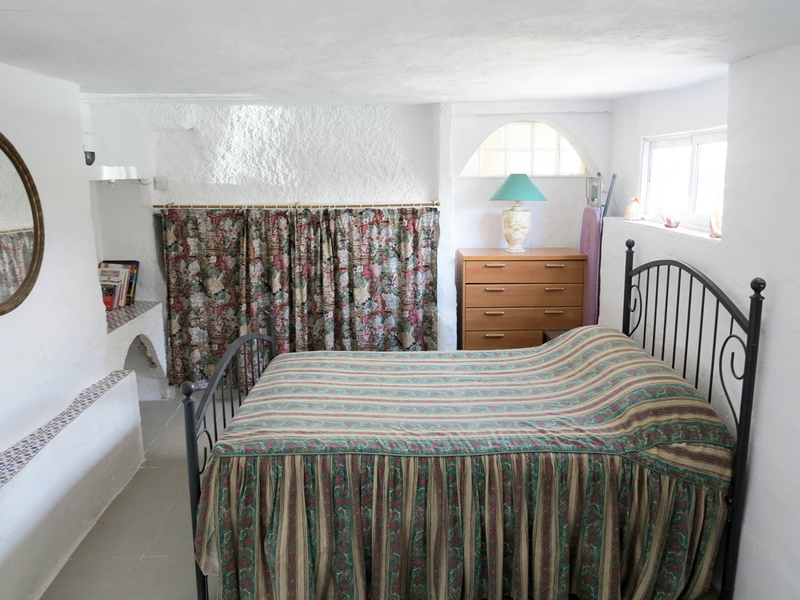 There is one double bedroom off from the lounge, with two further bedrooms distributed from the small passageway. 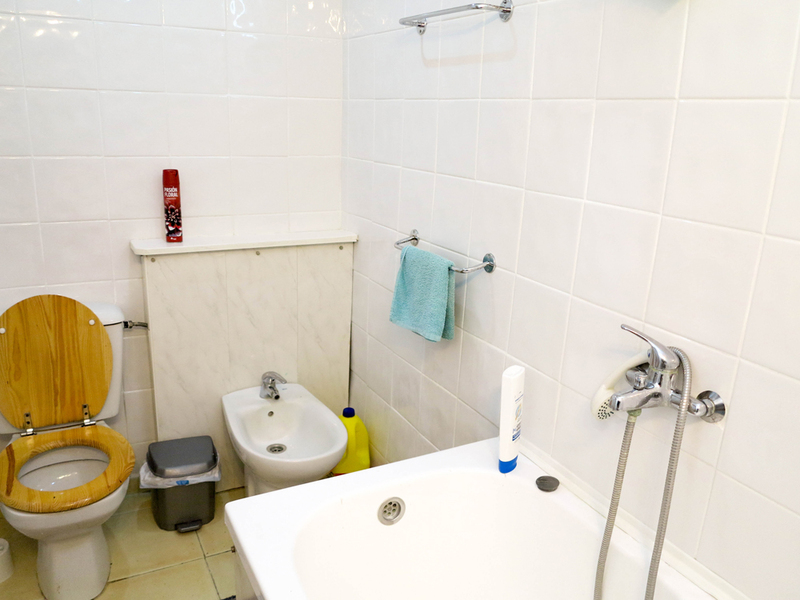 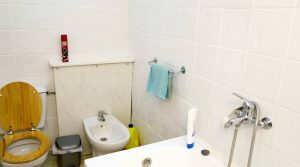 There is also a family bathroom complete with a full-size bath and shower over the top. 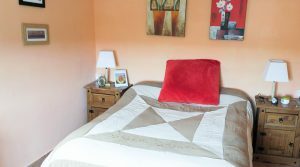 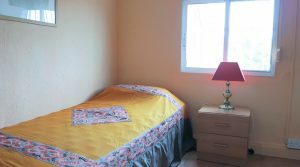 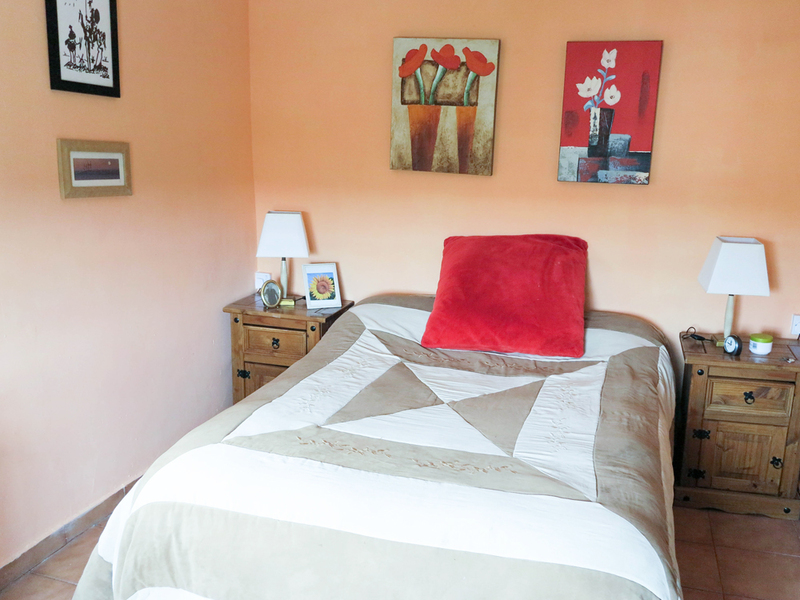 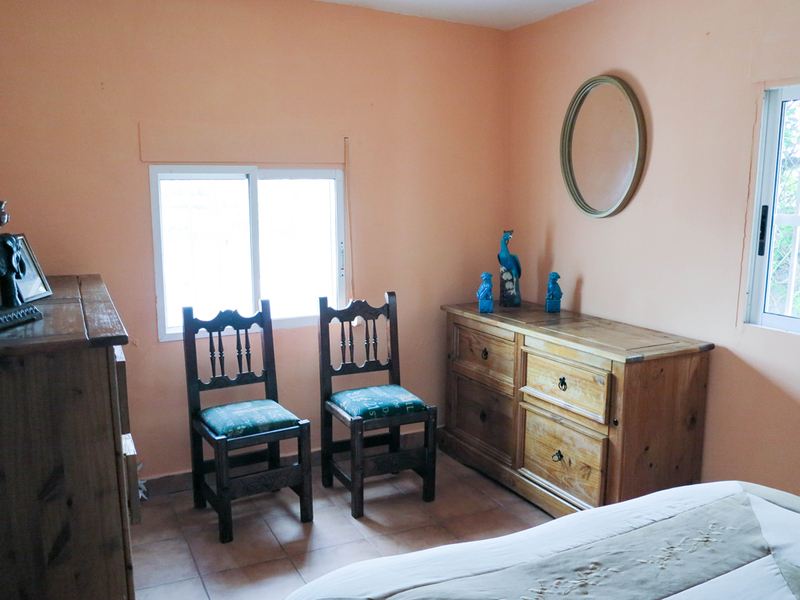 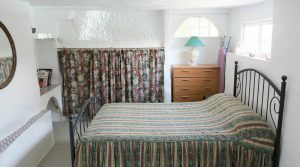 The master bedroom is a good size and enjoys nice views, as do all of the bedrooms. 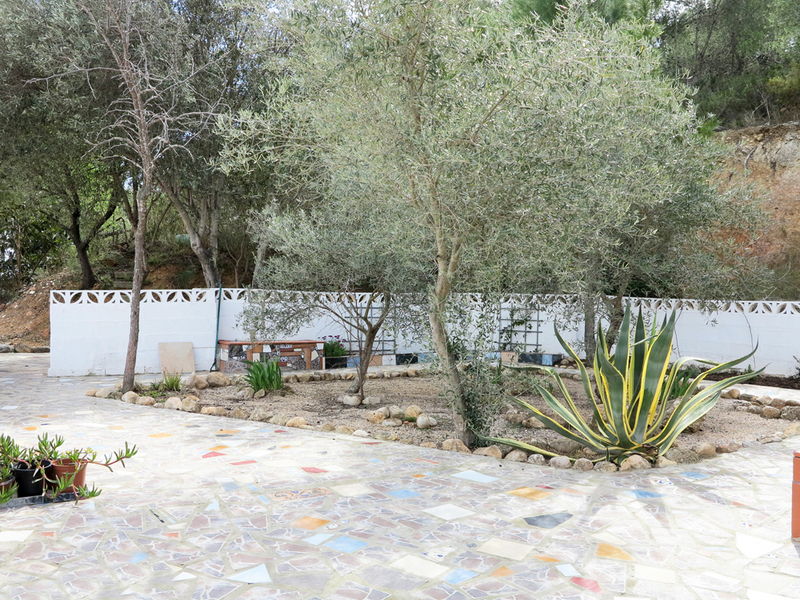 There are open terrace spaces either side of the glazed-in terrace, then you have another staircase taking you up to the upper garden which has a handcrafted tiled terrace and natural canopies from the mature trees. 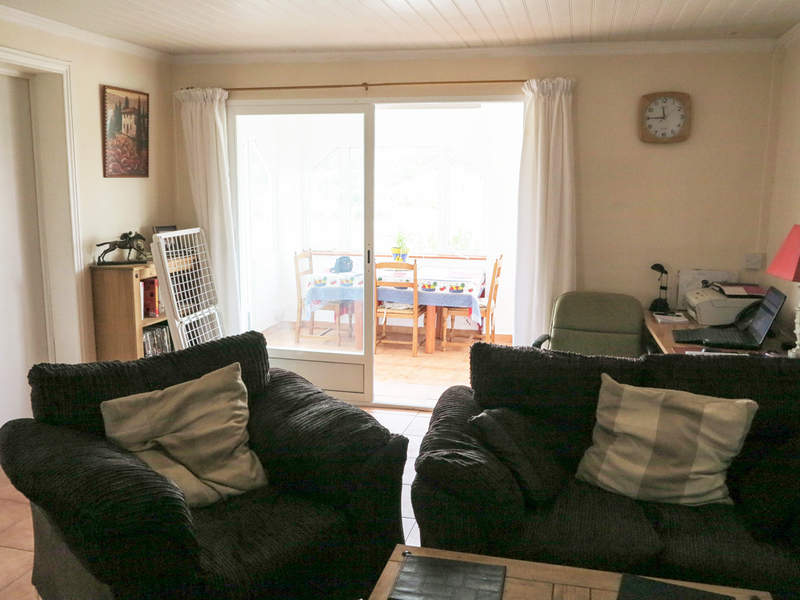 On this upper level, you have access to the attic room, which is with a low ceiling and only suitable for storage. 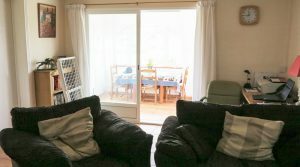 Back down on the ground level, you have a very nice concrete impression driveway and there is a self-contained apartment on this level, complete with a double bedroom, small kitchen area and a toilet with hand basin. 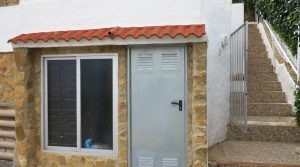 Also on this ground floor level, you have a store/room garage, and the solar power room and utility room where the washing machine is kept. 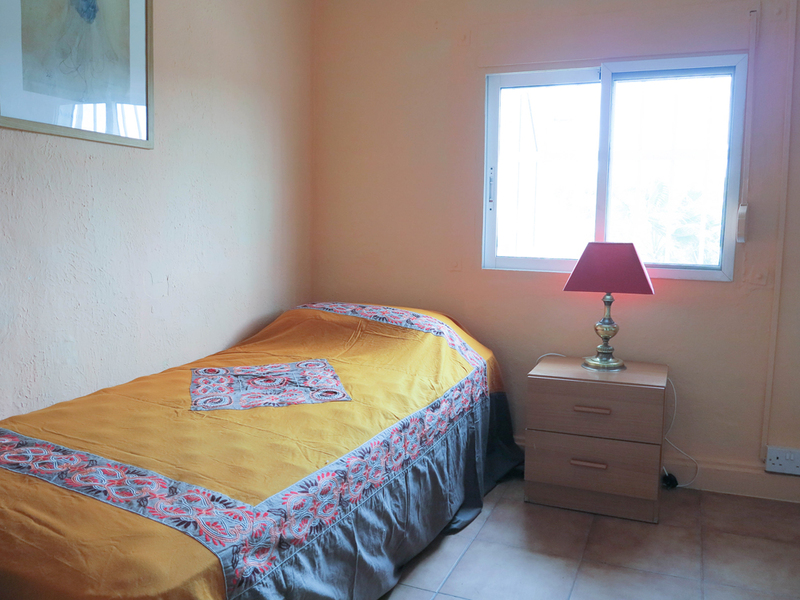 This room is where you have the solar power system with 12 new batteries and the inverter. 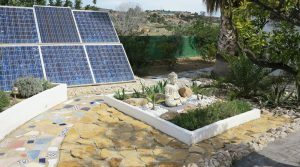 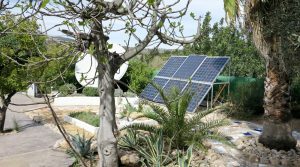 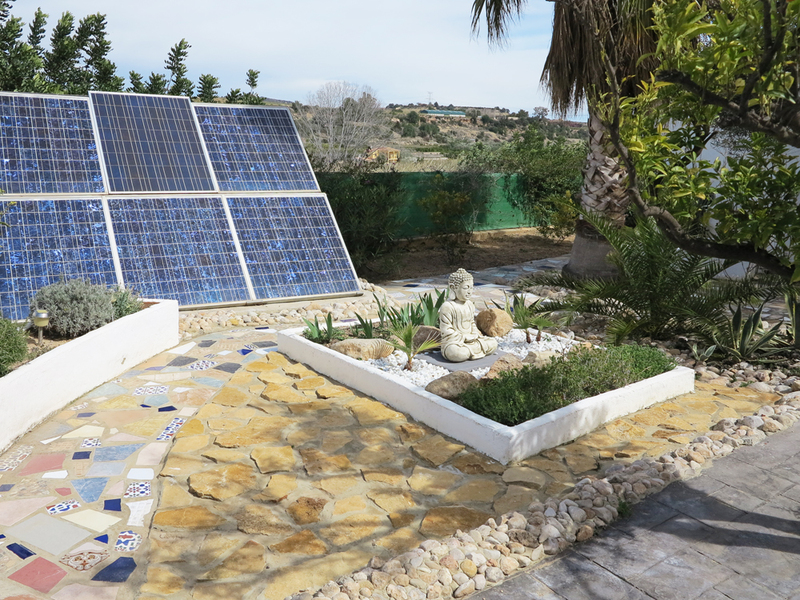 This solar system provides all of the power required for modern day living to this property and means you have no electricity bills to ever pay! 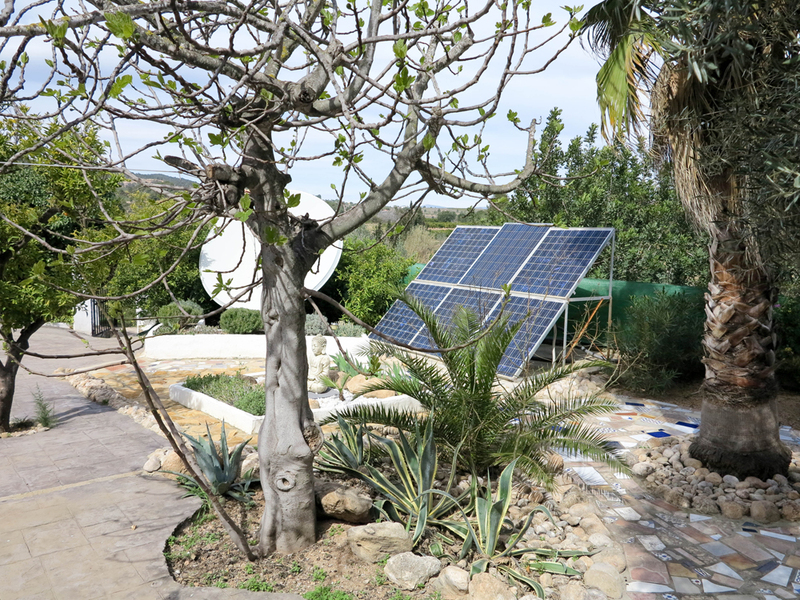 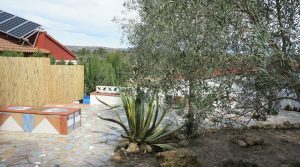 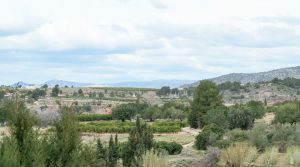 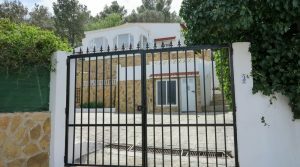 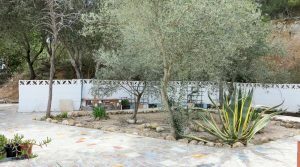 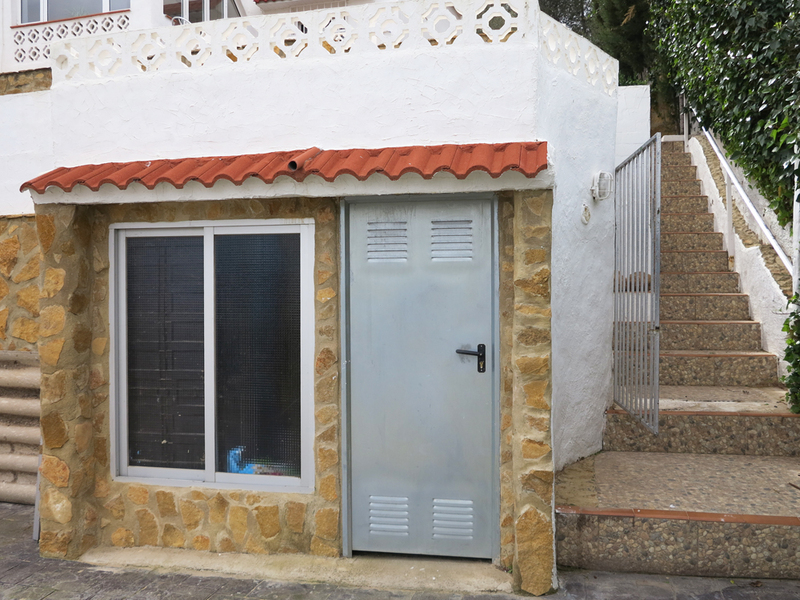 There is a high-quality generator system as a back up also provided also in a separate storeroom all connected and situated well away from the main villa. 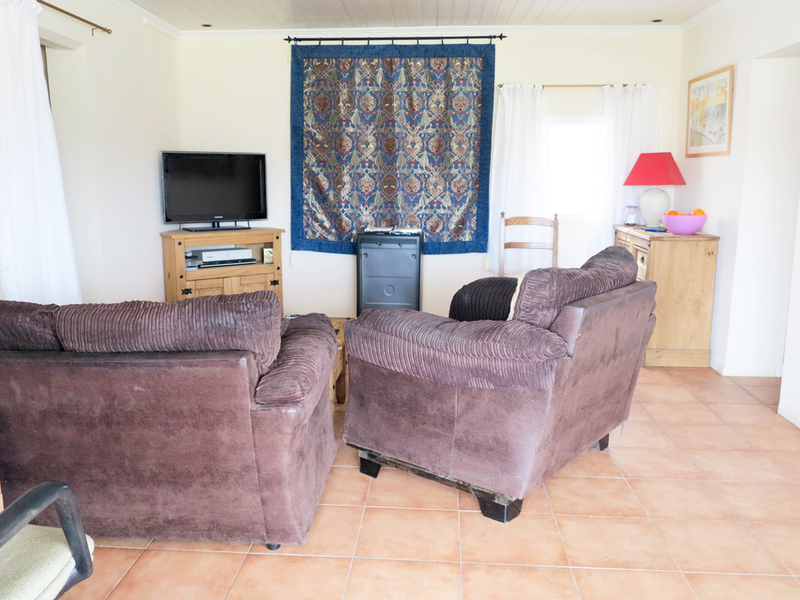 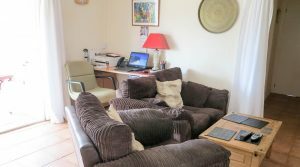 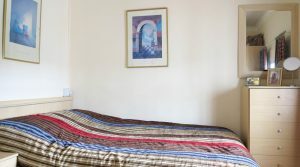 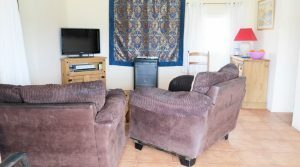 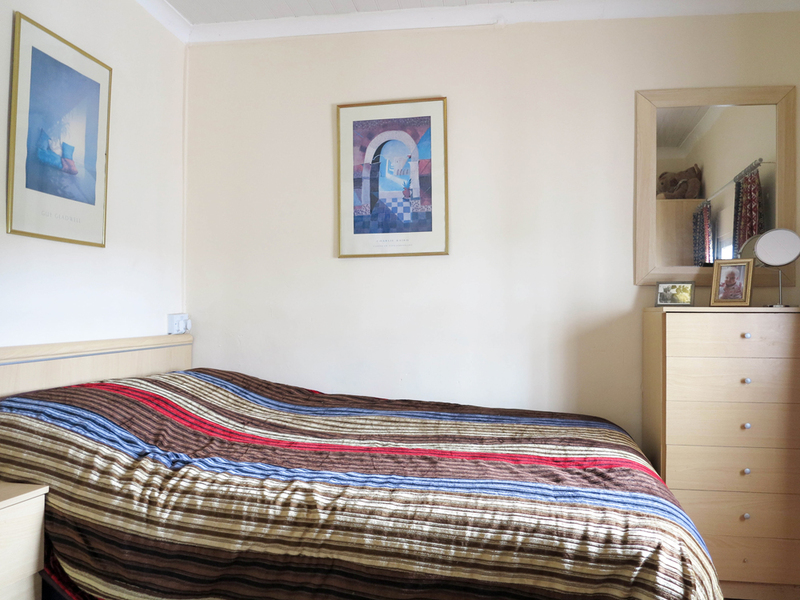 This property has broadband internet connected, together with mains water and it is being sold fully furnished. 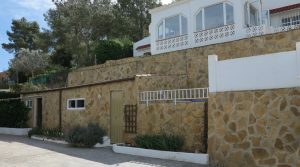 This is a small villa on three tiered terraced plot with stairs. 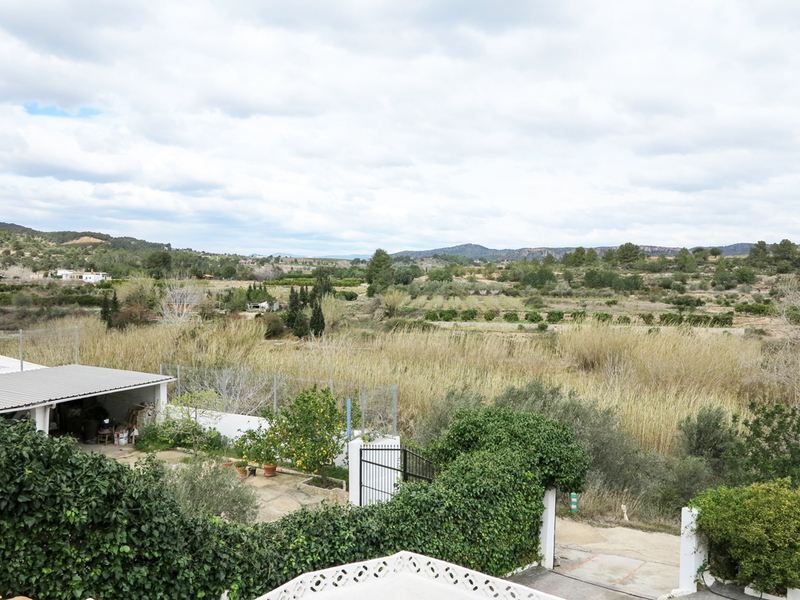 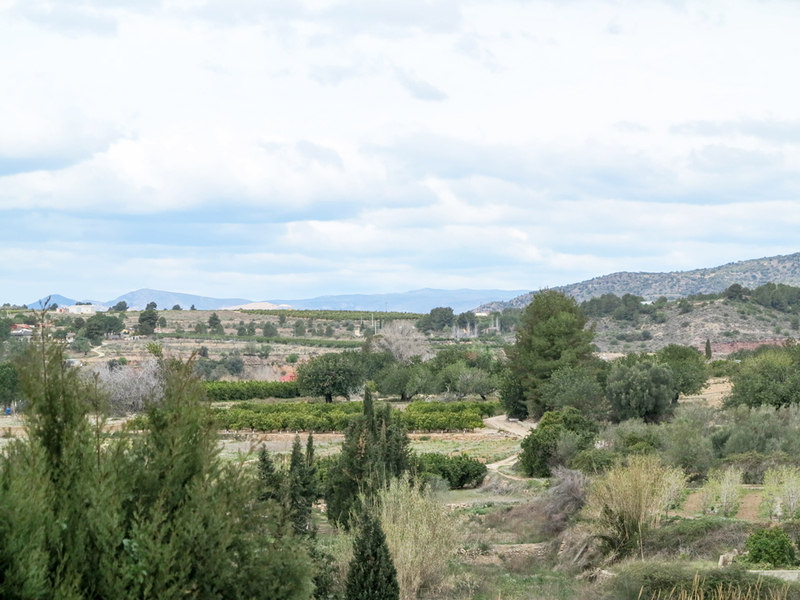 It has a lot of character and lovely views of the countryside and across to Montroy castle above the town. 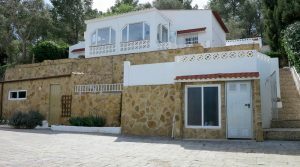 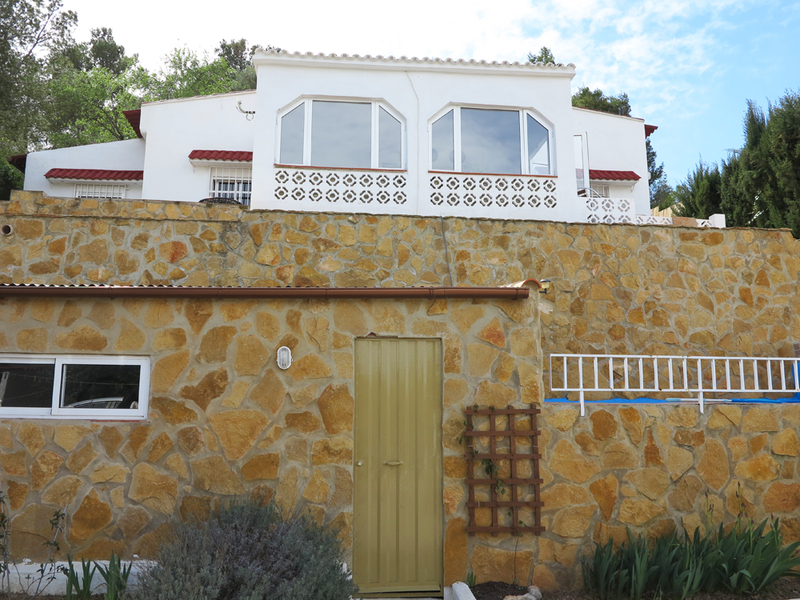 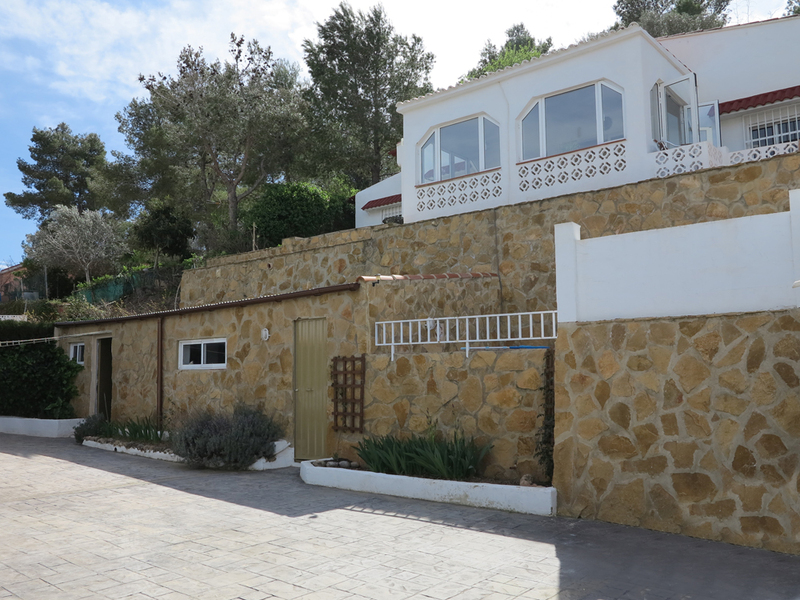 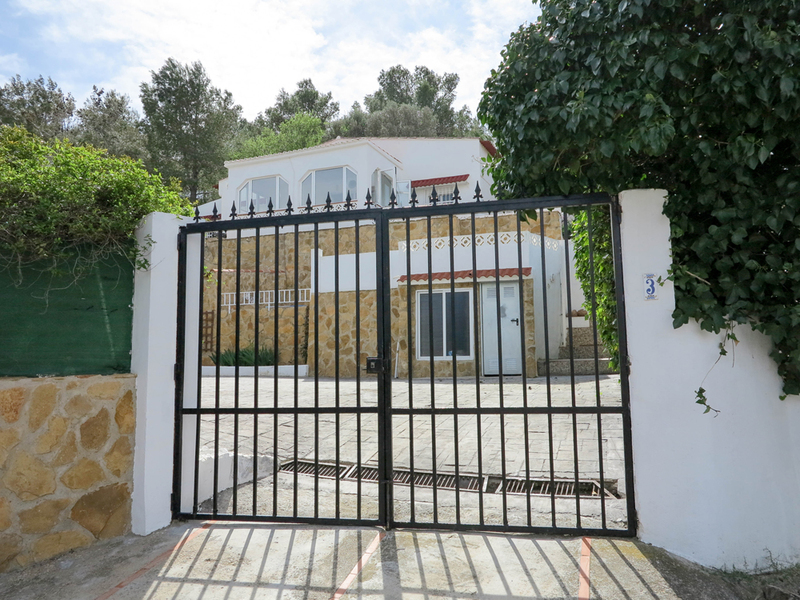 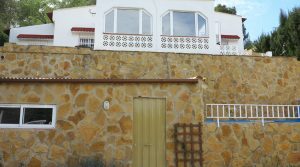 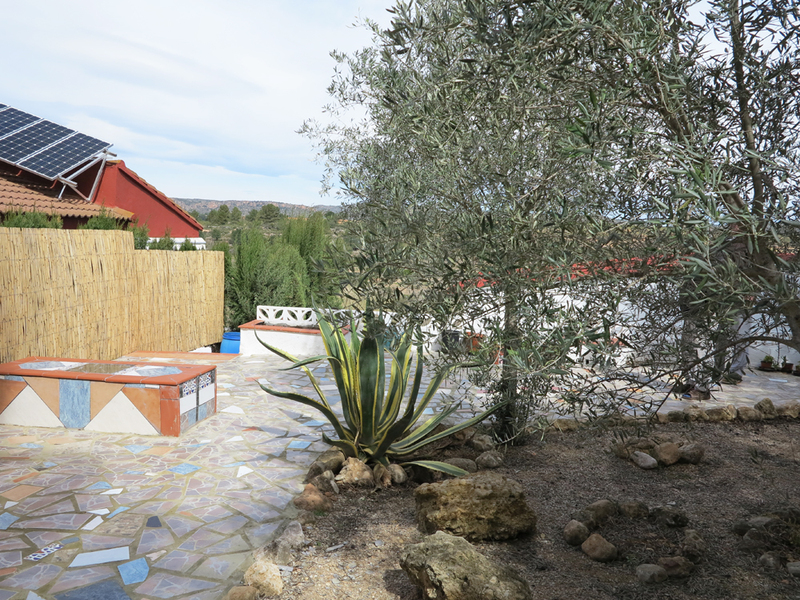 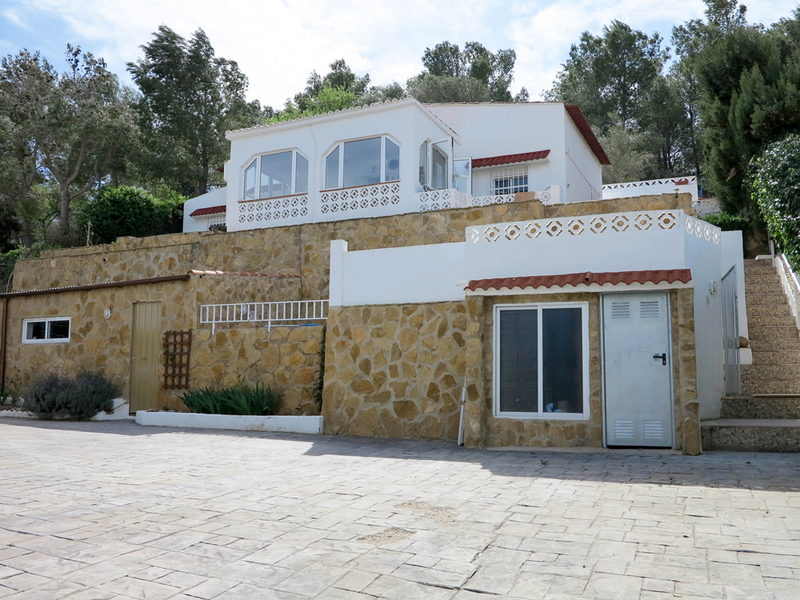 Reduced by 21.000 Euros to prompt a quick sale by the sellers, making this a very good deal for some lucky buyer.